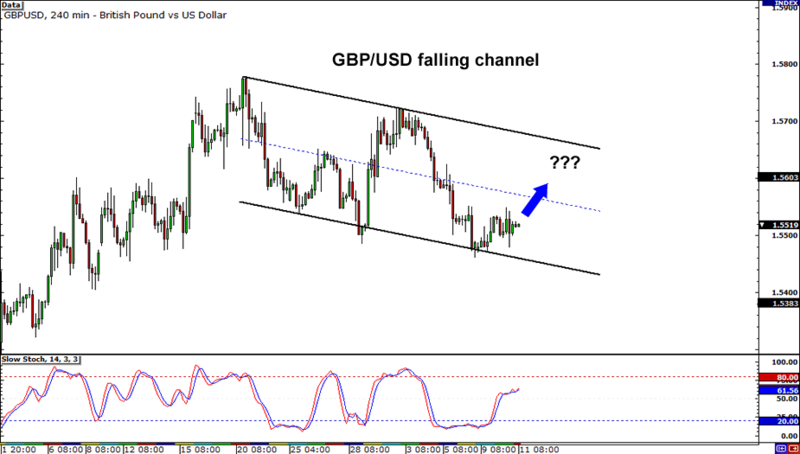 A falling channel seems to have formed on GBP/USD, but as we learned from the School of Pipsology, we’ll need to see another high before we can confirm this formation. From the looks of it, that ain’t impossible, homies! Price just bounced off the bottom and now it looks as though it has a clear path up the charts. But be careful! At the moment, the trend seems to favor sellers so this pair may turn back down at any moment. Aha! Now, here’s a setup for all you trend lovers out there. 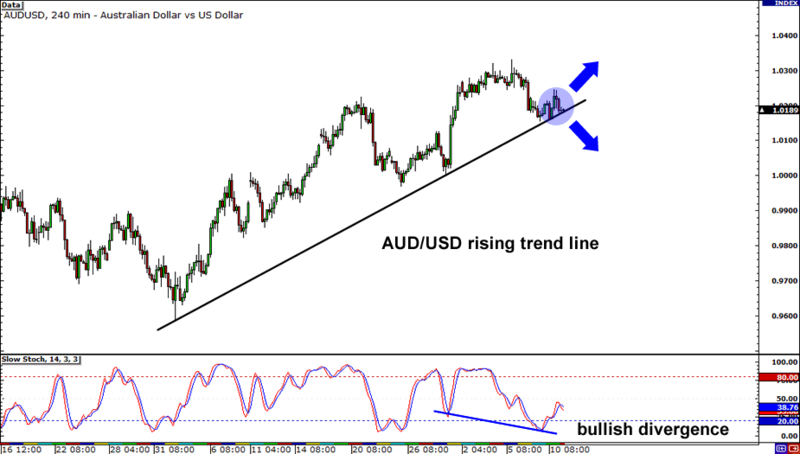 With the Aussie on a rampage, AUD/USD has managed to form a pretty solid trend line over the past month. Right now, it’s holding up quite well, and Stochastic is showing a bullish divergence, which means the pair could see a strong rally soon. However, a breakout to the downside is never out of the question, so you may want to consider setting sell orders below this trend line just in case! 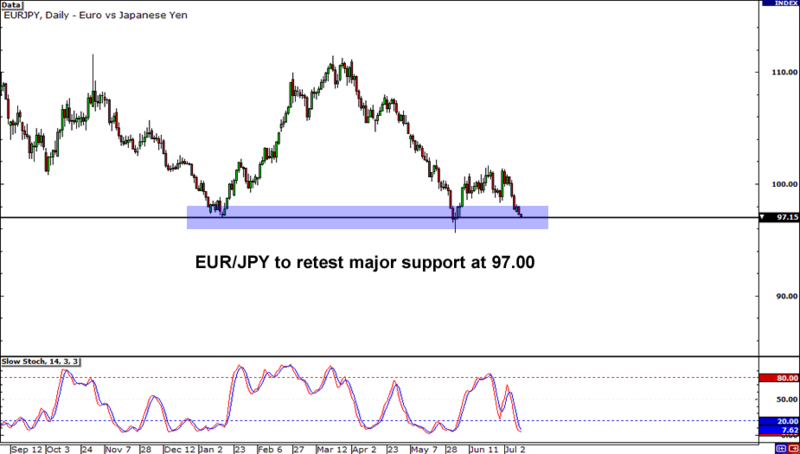 Last but definitely not least, we have this solid support level on EUR/JPY. The pair is just a few pips away from retesting the 97.00 psychological handle, which was once a major area of interest. Will this level hold once again? We can’t tell for sure, but Japanese candlesticks may give us clues. If we see reversal candlesticks form on this support level, it may mean that the market is ready to rally. On the other hand, a clean break below 97.00 could see new lows for EUR/JPY.